The Sunrise PTA thanks you for all your support. In addition, we are pleased to remind you of several opportunities to raise money for Sunrise and the PTA at no cost to you! These businesses have graciously offered to contribute to our kids in return for your patronage. PCC Natural Markets – Purchase a preloaded $10 PCC Scrip card for $10 from the PTA. When you recharge your card for any amount between $50 and $1000, 5% of your recharges will go to the PTA – that’s up to $50 free to Sunrise each time you reload! Buy one for each of your household shoppers! To purchase, email Jenn Thomson. 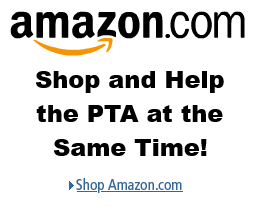 Amazon.com – Click to Amazon.com via our unique link sunriseparents.org/amazon and a percentage of your purchase will go back to Sunrise PTA at no cost to you. Ask your friends and family to shop their Amazon.com account via our link and we’ll benefit from their purchases too! Note – The Sunrise PTA does not have visibility to the names of anyone using the link. Remember to let grandparents, extended family, and friends know they can help Sunrise earn free money too. Thank you and please email your Sunrise PTA fundraising team (Jenn Thomson or Lindsey Fellows) if you have any questions or suggestions for other affiliates!